Before my first ever trip to the Red Sea, I invested in a reef guide containing beautiful images of the pretty fishes and corals. This was the definitive work, bound in glossy bulletproof hardback that thankfully fitted in my hand luggage and thus defeated the weigh-scales. On my second visit, I took a lightweight paperback containing details of just the prevalent marine animals. These days, I take an A5-sized fish ID card. 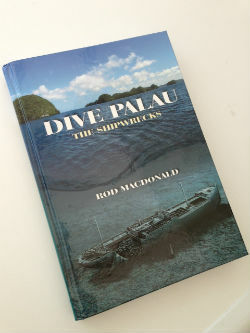 If you were packing for a trip to Palau and wanted a guidebook, consider Rod Macdonald’s latest – which is firmly in the first category; a weighty, robust hardback. 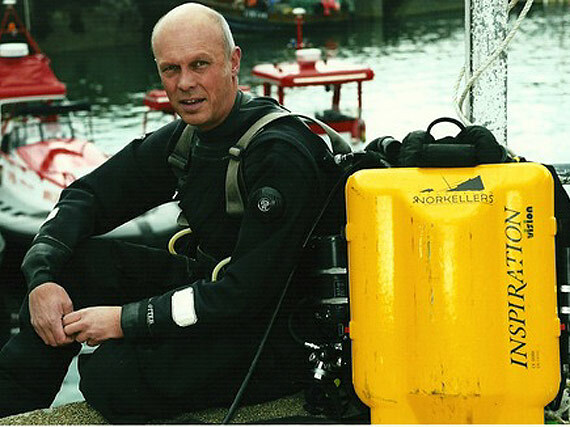 But pack it you must, as this is as-near a definitive wreck diving guide as you’ll ever read. Technical deep wreck diver Rod’s inaugural trip to Palau was almost an afterthought. During a trip to Australia to speak at the OzTek technical diving conference he had the idea of ‘stopping off’ at Palau on the way home to see what was there. The book – which is part encyclopedia, part guide, is the result. This region of the western Pacific is a sparsely populated republic made up of 250 islands. During World War 2 it was an important outpost for the Imperial Japanese Navy and their merchant fleet supplying forward bases, such as the better-known Truk Lagoon. Consequently it became a scene of conflict in September 1944 when the US Navy launched operation Desecrate 1, the battle to neutralise the islands. Rod comes across as a very diligent kind of researcher – unsurprising perhaps, for a man at the top of his game in a sport that requires absolute attention to detail. The first quarter of the book sets the scene of the Japanese entrenchment in Palau, which included burrowing into sheer rock at 90-degree angles to make an attack almost impossible. The fighting on land was horrific, bloody and drawn-out. Out in the lagoon itself the sailors looked far more vulnerable, and so it proved when a vast number and variety of merchant vessels and oilers were sent to the bottom in the rain of destruction launched from US aircraft carriers during Desecrate 1. Despite the number of protagonists, heroes and villains to choose from, Rod is light on characterisation: that’s neither his style nor his forte. However, the level of technical research in this book is breathtaking. Details such as when an attack was launched, the weight of explosive charge used or the exact power output of a Zero fighter. It’s dizzying. Likewise the three-quarters of the book detailing the location and state of the wrecks today represents a phenomenal record. Each chosen dive site (there are plenty more not included) is represented with photographs from 1944 and today, along with Rod’s signature wreck map renderings. As a celebrated explorer, it’d be easy for Rod to insert himself into his books as a narrator. That doesn’t happen in his writing however, which beefs his work up as a historian while demonstrating a refreshing lack of ego.